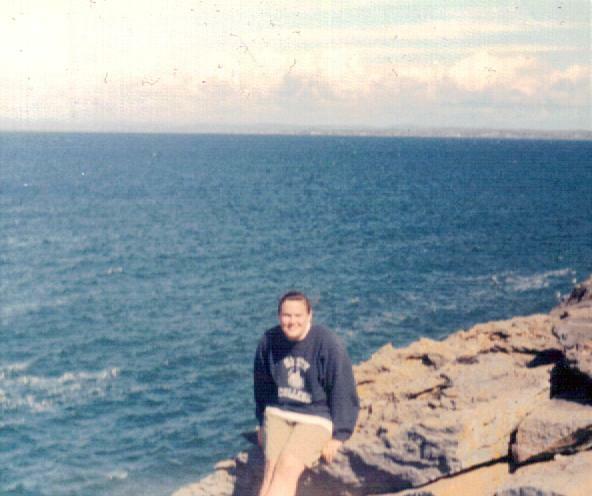 Over the past twenty-two years I have visited Ireland six times, and it wasn’t until my last trip in 2009 that I actually spent time with my Irish relatives. My heritage is completely Irish, but I was always hesitant to establish a connection with my Irish relations. While this attitude may have its roots in a general feeling of shyness, it was cemented by experiences I had in Ireland. I was content to remain a casual visitor who had a great time in Ireland and leave the sentimental homecoming production to other Irish Americans. Two examples of encounters I had in Ireland explain why I chose to forgo the pursuit of my Irish family. The first occurred during a visit to Ireland when I was sixteen-years-old on a summer program for American high school students called The Irish Way. On a free day from classes, I accompanied a friend on a day trip to visit her relatives who lived in the village where her grandmother was born. My friend was anxious and excited to meet her relatives, the family of whom her grandmother spoke so fondly. The entire situation made me nervous, but I was only a spectator. The afternoon was a complete disaster. Meeting the family did nothing to calm our nerves. They weren’t rude, just not very friendly, and for some reason they seemed suspicious of us. We both felt uncomfortable, unwelcome, and overly scrutinized. There was no connection; no family chemistry. My friend was disappointed and hurt – she had expected a warm welcome by people just like her grandmother, but instead received the cold shoulder. I certainly did not want to be one of those Americans, nor did I want the disappointment of meeting my relations only to have them be disinterested, unfriendly, and annoyed. So, I remained content to visit Ireland, have a fantastic holiday, and leave any notions of locating relatives to my imagination. I provided the background so that you might better understand why I was caught off-guard by the Week of Welcomes (to steal the phrase from the pilot program described here) my family experienced in 2009 when we visited Ireland. Actually, it was nearly three weeks of great times with relatives and friends all over Ireland, but I will begin with the warm welcome offered by the McCormacks of Ballyedmond, County Laois. Our week was punctuated by two great parties – one at the beginning, and one at the end. My father, mother, aunt, sister, and I arrived at the home of Jimmy and Helen McCormack late in the afternoon on Saturday and immediately received ribbing for our late arrival. My father had done extensive genealogy research and had reconnected with the McCormacks in Ballyedmond about ten years prior to our visit. Irish Jimmy and my father Jimmy are second cousins – their grandfathers were brothers. Read the story of our parties with the McCormack clan here. In my next post, I will share the details of our week with the McCormacks, including a trip to their local, a tree-planting ceremony, and what I learned along the way. Categories: A Visit Home | Tags: family, Ireland | Permalink. made to make this actual publish extraordinary. Magnificent task! I’m writing to let you know that this post made the Irish Fireside’s list of the 75 Best Articles and Posts of 2010. You can view the list at http://irishfireside.com/2010/12/31/75-best-of-2010/. Hello Aine. I’m planning a trip to go to Carlow for a Nolan reunion; now I’ve never met anyone from Irleand with the name “Nolan” but from what I understand it is one of the 50 Most Common names! Now do you, or do you know someone, who is up to date on Immigration and the laws surrounding it? I traced back through generations until I found the Irish born citizen that came over here, but there I am stuck. I know that he married in Illinois, and from what I understand, the 1st generation migrants were supposed to have the priest write to the homeland and explain the marriage… Is this true? To be married in the Catholic Church, an individual would have to prove that they were baptized Catholic. Often parish priests in America would contact the home parish in Ireland to confirm an immigrant was indeed baptized Catholic. Notes were sometimes made about this in the margins of the parish sacrament register books. 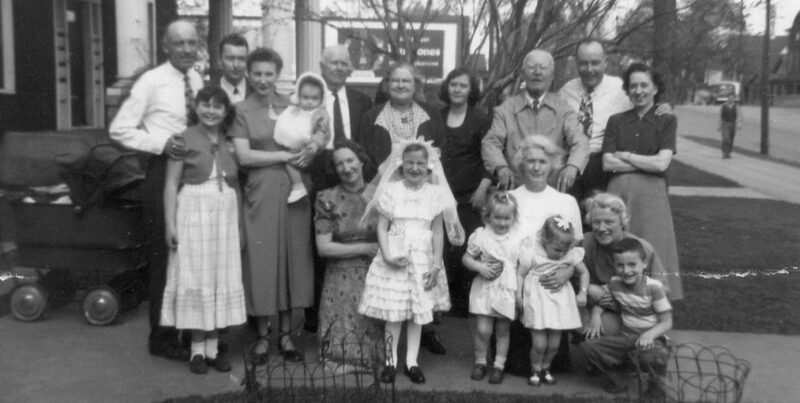 For example, my Irish-born great-grandmother was married at St. Malachy Catholic Church in Clontarf, Minnesota. The priest made a note next to their marriage entry that Annie Hill was baptized in Kill, County Kildare. We visited St. Brigid’s Church in Kill in September 2009, and next to her baptism entry was a note giving the date and place of her marriage plus her husband’s name. I believe this was the common practice (I am sure we could contact someone who could tell us more – American Catholic Church Archives or someplace?) but it wasn’t noted in the official records all of the time. The brother of my great-grandfather was born and baptized in New Hampshire and received a copy of his baptism record from the New Hampshire church before his marriage in 1910. So, whether an individual was born in Ireland or elsewhere in the US, the priest would want proof that they were baptized Catholic before marrying them in the Catholic Church. So, are you trying to find out specifically where your relative came from in Ireland? You could try to find where he was married in the US and take a look at the old records…you might luck out with a little note in the margin! I had great access to the church records in Clontarf, Minnesota and that helped me uncover much information about my relatives. I have contacted churches in Concord New Hampshire and Providence, Rhode Island, and the people have been extremely helpful. If you want some help with figuring out what Church your relative would have attended, let me know where he settled in the US – email me: aine@archival-solutions.com. When are you going to Carlow? Thanks for your comment! I ended up staying on the farm where my grandmother was born, on the shore of Lough Derg, just across from Holy Island. I saw our Cleary and McNamara ancestral homes in the East Clare area. My Cleary cousins are just super, and I visited again in 2005 and 2007. There is so much more to say, but it would be hard to stop if I start in. I will just say that I was headed back again this past April when the volcano decide to rain on me. It was the first weekend of Ireland’s air space closure. 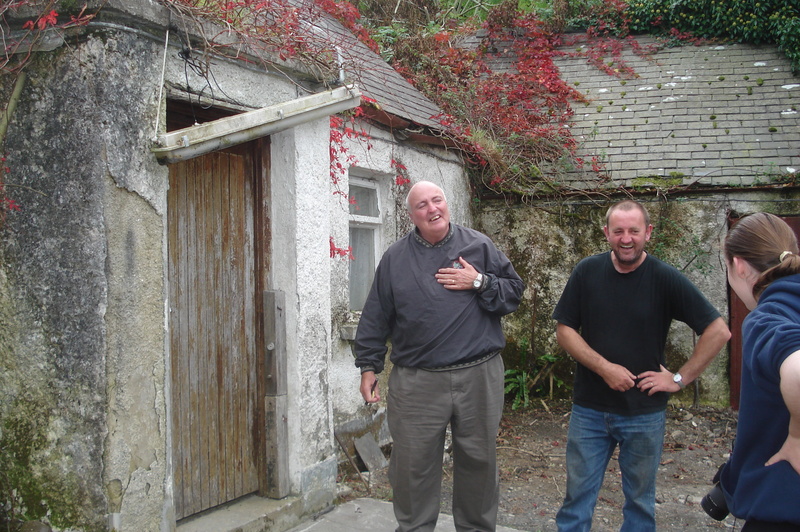 I am hoping to return to Clare again in September of 2011; please God. It is great to hear about your experiences with your Irish family. I started a new page on the blog for stories. If you would like to submit something to share, please email me: aine@archival-solutions.com. I’d love to hear more! Like you, I am of all Irish heritage as well: 3 ‘grands’ born there, the other ‘grand’ was the first daughter born in the US. Both sides kept in touch with some relations, and when I made my first trip there three years ago, we did have people to visit. Still, there’s more I’d like to do and visit there, in the way of genealogy, on another trip, but like you I’ve heard that many are irritated by American queries and visits…so what to do, what to do….on the bright side, our Irish connections led us to an Australian connection on my dad’s side, and they are very welcoming! We have not been lucky enough visit there, but we have had visits from some of them, and they are great! I think it is difficult for some Irish people to understand why Americans care about their “ancestors” and where they came from. But I also think that Irish people are becoming more interested in their own family histories, which translates into greater understanding of the American search for their Irish roots. There was a popular program on Irish TV, “Who Do You Think You Are?”, which traced the genealogy of famous Irish people (Lisa Kudrow presented an American version earlier this year.) The last time I was in Ireland, I heard many people talking about how great it was that the 1901 and 1911 Irish census was available online. I think there is a generational component to this as well; younger people are much more critical and cynical about things like genealogy. Just keep plugging away and remember to keep a sense of humor when you are tracing your Irish roots. I have encountered crabby people all over while researching my family history – even in Ireland. How great about the Australian relatives! That must have been really fun to meet them. Thanks so much for your comment. If you are interested, submit a story about your experiences with your Irish relatives. Send it to me at: aine@archival-solutions.com. Indeed! Are your great-grandparents from Cork? Which part? My 2 Great Grandfather John O’Connell was baptized in Garraveasoge, Dromtariffe Parish, Cork, Ireland. It looks like they moved to the USA in 1858 (when he was 1) have not found any records to confirm yet. Where did he settle in the US?